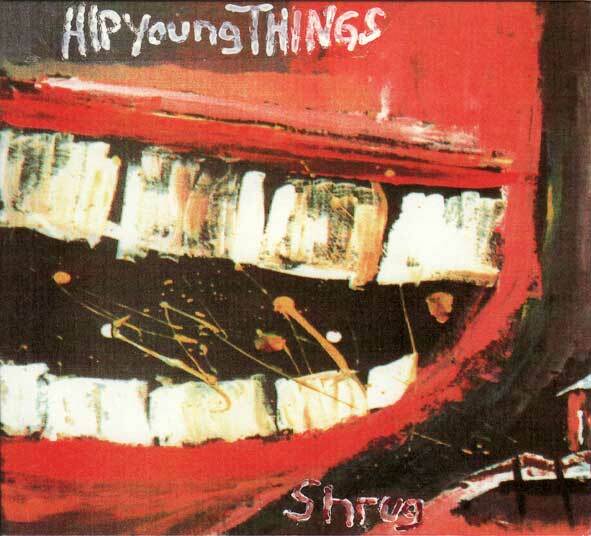 Hip Young Things` second and their first self produced album was released on Glitterhouse Records in September 1994 and recorded during the summer of that same year, straight after the band & their engineer Sascha Unversucht had almost finished building the Firehouse Studio during the last 3 months. Explaining why many tools such as a power drill, compressor, accumulator screwdriver and so forth can be heard on the record. The band split up about 16 times during the recording process due to the fact that they all wanted to play different kinds of music. These circumstances had a profound effect on the album….a freaky kind of experimental-freeform-noise-folk-close-to-collapse-indierock-pop accidently evolved from the tense situation. As always, a pain in the arse in the making but a treat for the listener. Guest appearances can be heard by Markus & Micha Acher of The Notwist, who Schneider met during the Family Affair Tour in spring 1994 and the mighty Volker Backes, old friend and member of The Locust Fudge Band & Me In The Rye.